THE DEFEATED MP of the Gomoa West Constituency, Ama Benyiwa Doe, has condemned the actions of the New Patriotic Party (NPP) over their capture of the Central Region(C/R) in the just ended general elections. 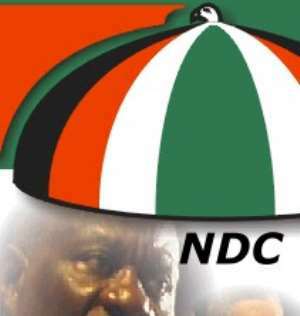 She noted that the NPP intentionally targeted the C/R in order to embarrass the Presidential Candidate for the National Democratic Congress (NDC), Prof. John Evans Attah-Mills. Benyiwa Doe who made this condemnation in an interview on a Kumasi based private radio station also stated that the NPP used money to influence the people in the region to vote for them. “They took advantage of the poor conditions of the people to twist their minds and decisions on the elections with money”, she said. According to her, the consistent presence of some stanch NPP leaders like as Lord Commey, Dan Botwe and Obetsebi Lamptey in the area prior to the elections was clear that they targeted the area and took it as a special case. The defeated MP also hinted that on the eve of elections, some chiefs in the area summoned the people, which she claimed was unusual of the chiefs, and advised them to vote for NPP candidates since candidates in opposition cannot help in the development of the area when Kufuor is retained in office. “So I was also targeted”. She was convinced that the NPP government also influenced the chiefs. “ How could Attah Mills who hails from the C/R get only two seats there”, she questioned, adding that the people were indeed influence with money by the NPP. Benyiwa Doe described as unfortunate that the NPP, which claims to be practicing democracy, could build Ghana's democracy on money influence. She observed that in order to ensure peace and good democratic dispensation in country, the blackmail and all forms of influence on the electorates and authority should be done away with. The defeated MP however, made it clear that she is not discouraged by her defeat with the parliamentary seat since she has already served 12 years as MP for Gomoa East. She stated that she would continue to support the NDC for the rest of her life and that she would not stop defending her party. According to the NDC activist, if the NPP had not used incumbency and money to rig the elections, NDC could have won the elections. “The election was not based on fair competition”, she charged. She said the NDC would not relax and that it would work hard in the years ahead in order to capture the lost seats in the 2008 elections.